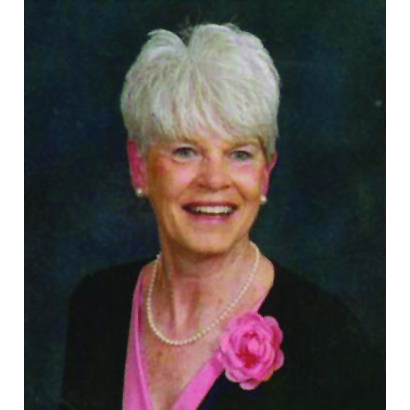 AVENTON - Linda Dean Crickmore Journigan, age 73, passed away Thursday, April 11, 2019. Born in Nash County, NC on September 12, 1945. She was the daughter of the late Francis Lafayette Crickmore and Lucinda Lancaster Crickmore. Linda graduated from West Edgecombe High School in 1963. After high school, she attended East Carolina University and Louisburg Jr. College where she majored in Business. She worked as a secretary at Planters Oil Mill from 1965 to 1968. Later on, she worked at Rocky Mount Public Office and Green Thumb Nursery. In 1966, she married the love of her life, Richard, a farmer, and lived in Rocky Mount and later moved to Aventon. They built their life together; rearing a family of three girls, farming, and serving their community, church, and God. Linda was a devoted wife, mother, grandmother, and homemaker. Her greatest joy was serving others from her home - fondly known as "the house on the hill" in Aventon. Her gift of hospitality and her love for Jesus resonated from her home - Linda's mission field. Linda grew up in the Proctors Chapel Baptist Church community in Edgecombe County. She also served at Fishing Creek Baptist Church and was a current member of First Baptist Church in Rocky Mount - serving God through teaching children music and Bible. Linda leaves behind her loving husband of 53 years, Richard Sterling Journigan; daughters, Gretchen Blair Journigan Boseman and husband, Wayne, of Aventon, Jennifer Lou Journigan Turner of Rocky Mount, and Anne Sterling Journigan Godwin and husband, Bobby, of Aventon. She is also survived by her grandchildren, Richard Carlton Turner, Nancy Katherine Turner, Emily Dean Godwin, Anna Louise Turner, Robert Alden Turner, Rachael Anne Godwin, Micah Richard-Bruce Boseman, and John Bennett Godwin. She will also be remembered by her brother, Jimmie L. Crickmore and wife, Linda Carol; aunt, Amanda Gay Lancaster; niece, Angela Crickmore Hollister and husband, Al; and mother-in-law, Mary Louise Journigan Atkins. A Memorial Service will be held on Easter Sunday, April 21, 2019 at 2:00 PM at First Baptist Church, 200 S. Church Street, Rocky Mount, NC 27804. A visitation and reception will be held immediately following the service at First Baptist Church. In lieu of flowers, memorials may be made to St. Jude Children's Research Hospital, Memorial and Honor Gifts, PO Box 1000, Dept. 142, Memphis, TN 38148-042.